Yeehaw Wand AR 3D Design & Printing Device | OhGizmo! By Gadget Flow on 11/17/17 • Leave a comment! Introducing the Yeehaw Wand AR 3D Design & Printing Device. 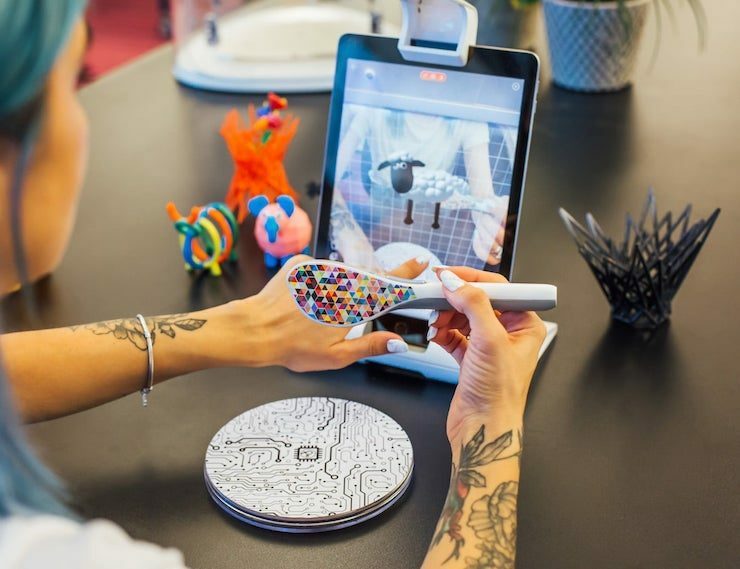 It’s a new digital brush that makes it easy to use AR technology to create, play, and print 3D designs. And, there’s no experience needed. You can see your designs come to life on your phone or tablet and play with your 3D creations as if they’re floating in front of you. ← Tesla’s New Roadster May Become The Fastest Production Car Ever. Period.